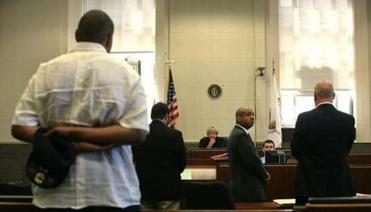 Annie Dookhan (right) in Suffolk Superior Court in 2013, after she entered her guilty plea. Dookhan has been granted parole, an official said Tuesday. 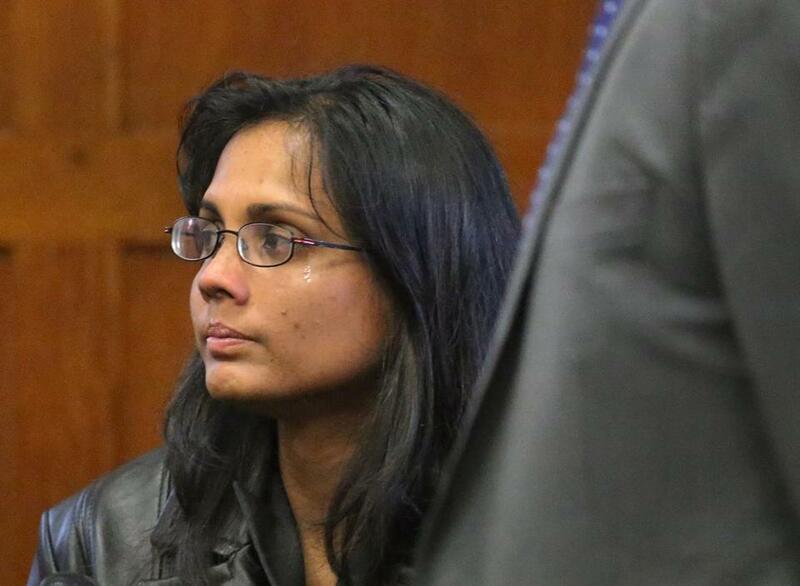 Annie Dookhan, the former state chemist who created a multimillion-dollar crisis in the criminal justice system that continues today, has been granted parole from her prison sentence, an official said Tuesday. Dookhan pleaded guilty to charges stemming from her tampering with evidence while working at a state lab in 2013, and she was sentenced to serve three to five years in the custody of the state Department of Correction. Darren Duarte, a department spokesman, wrote in an e-mail Tuesday that Dookhan had been paroled and is no longer in custody at MCI-Framingham, where she had been serving her sentence. The Parole Board, in a decision dated Feb. 24, found she was a low-risk, nonviolent offender, with no previous record. How big a deal was the Dookhan case? These numbers help tell the story. Dookhan’s release was first reported by the Boston Herald. Dookhan tampered with evidence while working as a testing chemist at the Hinton laboratory, operated by the Department of Public Health. The lab no longer plays a role in forensic testing in criminal drug investigations. All drug testing is now done by the State Police. Officials determined that Dookhan was involved in more than 40,000 cases at the lab from 2003 to 2012. Special court sessions have been created to deal with the cases in which defendants are challenging their convictions on grounds Dookhan, and the lab, tainted evidence that led to their imprisonment. Prosecutors and the Committee for Public Counsel Services have dedicated portions of their budgets to deal with the investigation into closed cases and to provide lawyers for indigent defendants who may have been wrongly convicted. Dookhan’s actions have spawned a large-scale investigation by Inspector General Glenn A. Cunha’s office and a series of cases before the state Supreme Judicial Court focusing on how the criminal justice system should respond to the possibly tainted convictions. A single justice of the SJC is currently overseeing the fallout from the Dookhan case and district attorneys are expected to provide detailed lists of defendants they believe could be affected by her actions by May 9, according to court records. The Committee for Public Counsel Services, the state’s public defender agency, and the American Civil Liberties Union are pushing the courts to throw out thousands of cases handled by the Hinton lab. “Nearly five years after egregious misconduct became known to managers at the Hinton Lab, Annie Dookhan’s victims are only now on the cusp of having a meaningful opportunity to challenge their convictions in court,” Matthew R. Segal, legal director of the ACLU for Massachusetts, said in a statement Tuesday.